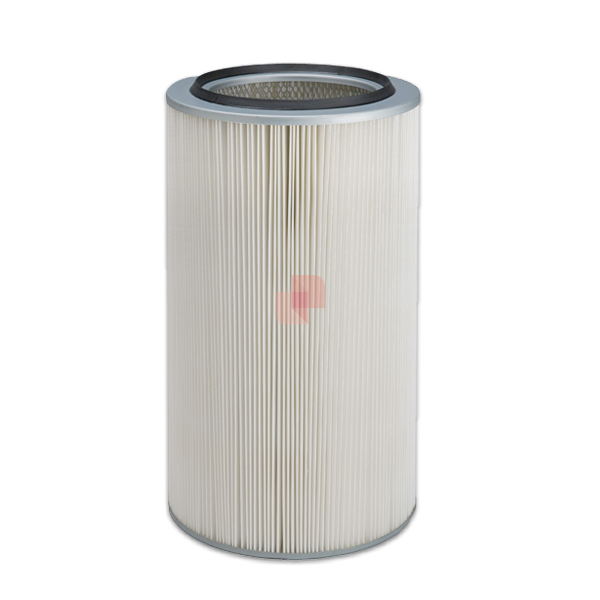 Spunbonded Polyester Filter Cartridges for dust collection in air filtration systems, available with or without end cap. More specifically, Spunbonded Polyester Filter Cartridges (available with or without end-cap) have a considerable Mechanical Resistance and preserve a good Filtration Efficiency that allows future reuse. Furthermore, Pleated and Spunbonded Polyester Filter Cartridges can also be used in specific treatments where occurs contact with reagents or chemical solvents.